09.19.15 :: Categories: Boat Blog and Stop Polluters. Tags: Pollution and riverkeeper sweep. Southbound from Kingston to Ossining. Picked up a light truck tire with rim off Poughkeepsie. I used to collect lots of these, often more than one per full Estuary patrol. Finding far fewer in recent years – which is great but I don’t really know why. Are people dumping fewer? That would be nice. Are all the Riverkeeper Sweeps and cleanups gaining on the number of tires alternately floating around or stranded on the shoreline till they are re-suspended? Maybe both. Whatever the reason, it’s a nice trend. 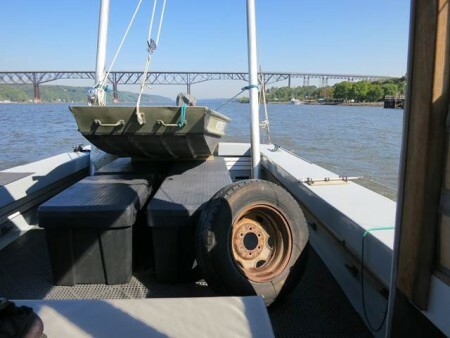 Read more about Riverkeeper Sweep and beyond: Working toward a trash-free Hudson. 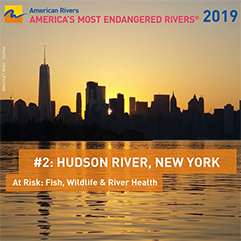 See more photos from the Hudson River boat patrol by using hashtag #followtheboat on Twitter, Facebook and Instagram.